This is the new Liverpool away goalkeeper kit 2012/13, LFC goalkeeper Jose Reina’s new strip for the 2012/2013 Premier League season. 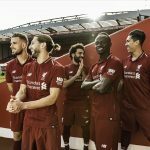 The new Liverpool away goalie jersey was unveiled along with the Reds’ new black grey 2012/13 season away strip on June 4, 2012. The shirt has been made by Warrior Sports. 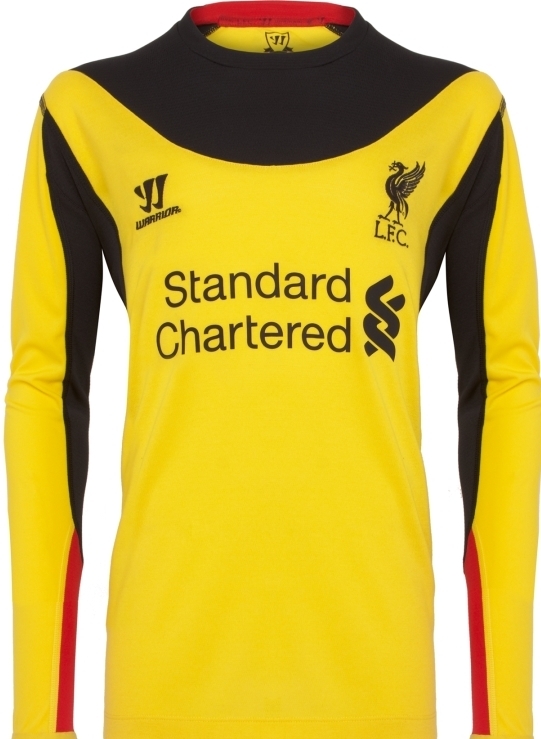 The new LFC away goalkeeper top is predominantly yellow in colour, as can be seen from the pictures below. 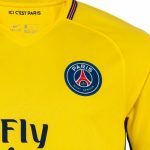 Like with the outfield players kit, it also has a contrast panel on the top ( black in colour). The LFC home goalkeeper shirt 2012/13 has already been released. 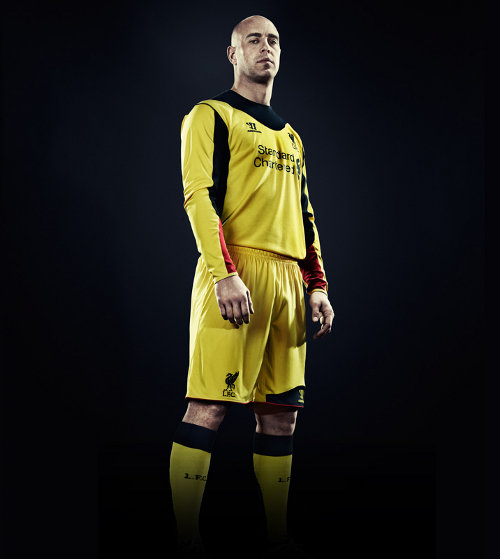 Liverpool’s Spanish keeper Pepe Reina is here seen modelling the new GK away strip. See other Premier League released strips in our PL kits section. 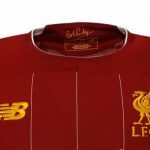 How can you tell Liverpool is owned by Americans……..
Did they take a leaf out from the design of the late Mr Bruce Lee’s track suit in ‘Game of Death’? Colour of Custard. No thanks, Liverpool! legitimatly laughed when this page loaded xD what the f**k are you playing at warrior? !